$240. 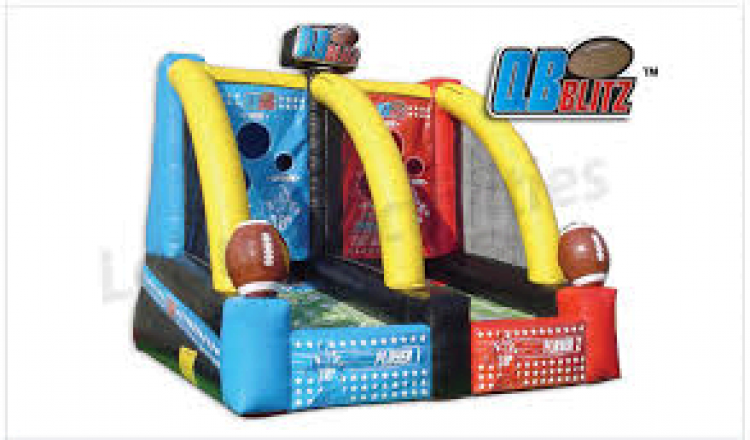 This Quarterback Blitz is the ultimate inflatable quarterback challenge. You and our opponent race to be first to complete all of your passes through the target. 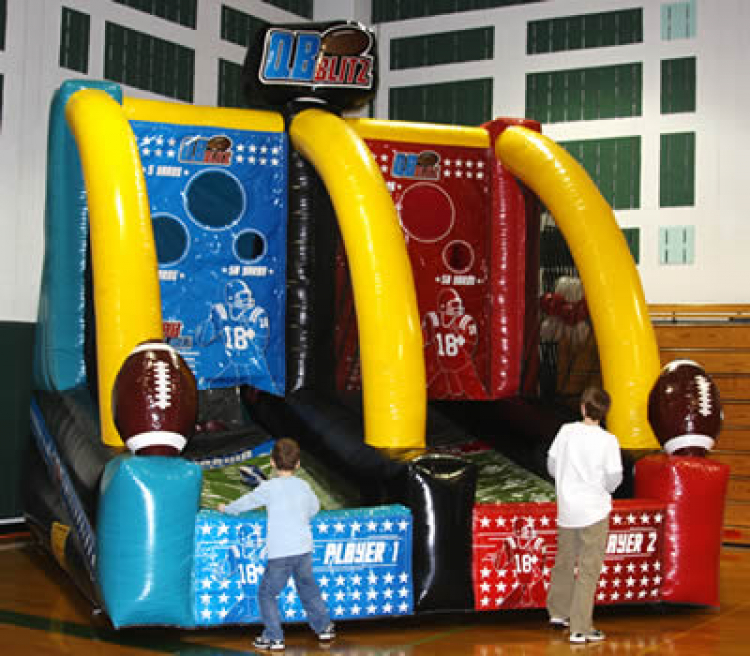 Great fun for football fans of all ages! 16' x 14' x 16'. Includes (1) 110V blower. Can be picked up by customer. Please see customer pick up policy.